Humans have been able to fly, not quite under their own power, for a little over a hundred years. 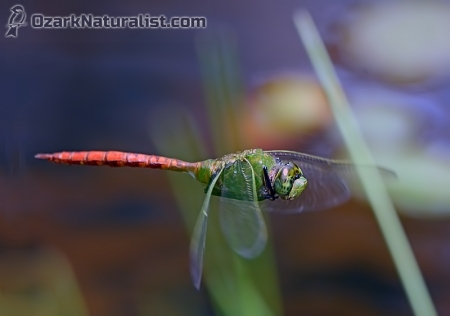 Dragonflies accomplished this more than 325 million years earlier and they do it all on their own. 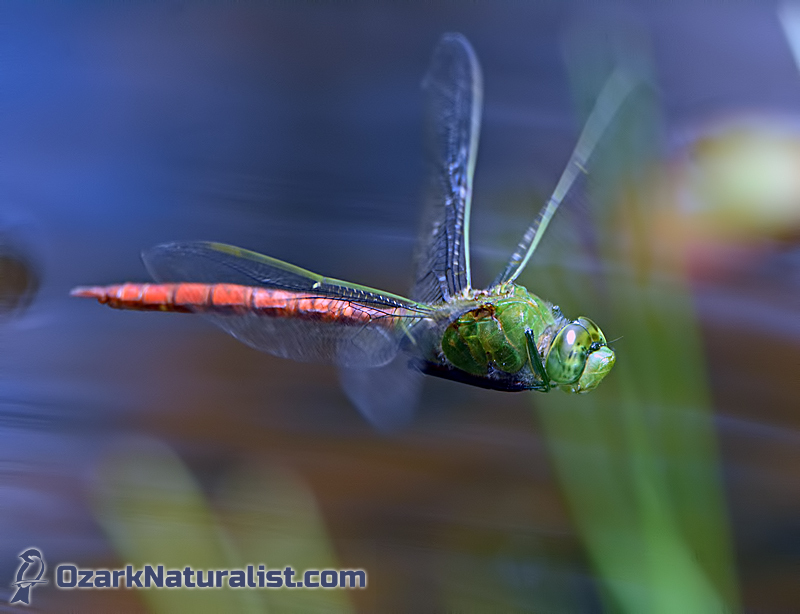 They are magnificent and I love to sit and watch them zoom about, capturing prey, fussing over territories and, sometimes I think, just showing off. 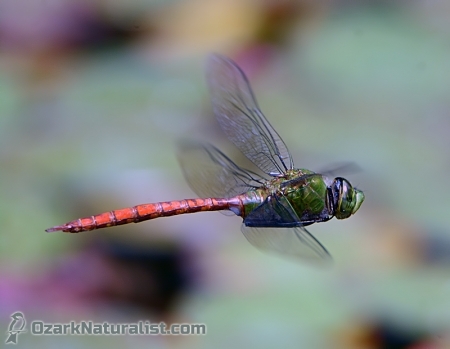 For instance, this Comet Darner (Anax longipes) was flying laps around my pond and each time he passed me, he would pause to hover in front of me, flipping me the dragonfly equivalent of the bird. But I’m smarter than a dragonfly (I hope) and he was playing right into my hands. The whole reason I was sitting there was to watch him and his compatriots perform their feats of aerial wizardry and photograph them whenever they presented an opportunity. Most of the other species would land at least occasionally, but the darners—I have Common Green Darners (Anax junius) at the pond as well—rarely land, so I was trying my best to shoot them on the wing. That happens to be much easier when the little bugger is hovering. Each time around, he would pause in the same general area and I would be pre-focused and waiting. Even so, I’d usually only manage to get off a shot or two each try and these are the best of what I got. I don’t like the background in the second image and the first is probably the best of the three, but this last one is my favorite, even with the blurred grass stem getting in the way. I love the way the streaking on the water makes it look like he’s moving quickly—zooming—even though there’s no actual forward movement. In fact, the first thing I thought of when I saw this image was the Enterprise going into warp on Star Trek. And with that, I will cleverly segue into an almost relevant closing quote from one of my all-time favorite philosophers. ‘Til next time.